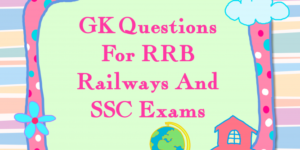 This post of Indian Constitution Questions and Answers is very important for SSC,1st Grade Teacher Study Material Notes, Kendriya Vidyalaya Sangathan Notes, And Constitution of India related best GK General GK Question study materail notes in hindi english for competitive Exams Objective and Subjective Notes center level state level competition exam and SSC CGL GD Clerk LDC UP Police Delhi Police Rajasthan Police Patwari exam CTET REET PSTET CTET, TGT, PGT, B.Ed HTET CSAT NDA CDS RPSC 1st Grade 2nd Grade Teacher railway loco pilot group d group c Exam RPF, RSMSSB WOMAN SUPRVIOR and daily GK Updats 26-11-2018 And Read more All articles of Indian constitution for upcoming exams. Question (1) When was the first finance commission formed? प्रथम वित्त आयोग का गठन कब किया गया था? Question (2) What is the maximum number of members of Lok Sabha members? लोकसभा सदस्यों की अधिकतम सदस्य संख्या कितनी हो सकती है? Question (3) The description of the establishment of the Union Public Service Commission in which paragraph is described in India? भारत में संघ लोक सेवा आयोग की स्थापना का वर्णन किस अनुच्छेद में वर्णित है? Question (4) Who elected the Constituent Assembly of the Constituent Assembly? संविधान सभा ने किसे प्रारूप समिति का अध्यक्ष चुना? Question (5) When was the Panchayati Raj Act passed? पंचायती राज अधिनियम कब पारित किया गया? Question (6) After every general election, who addresses the first session of the Lok Sabha and the first session of each year? प्रत्येक आम चुनाव के बाद लोकसभा के प्रथम सत्र एवं प्रत्येक वर्ष के प्रथम सत्र को कौन संबोधित करता है? Question (7) how many years is the appointment of the members and the members of the Union Public Service Commission? संघ लोक सेवा आयोग के सदस्यों तथा अध्यक्ष की नियुक्ति कितने वर्षों के लिए होती है? Question (8)Which part of the Indian Constitution inspires to establish a socialist system? भारतीय संविधान का कौन–सा अंग समाजवादी व्यवस्था स्थापित करने की प्रेरणा देता है? Question (9)How many fundamental rights were there at the time of the implementation of the Constitution? संविधान लागू होने के समय कितने मौलिक अधिकार थे? Question (10) what paragraphs is the right of equality described? किन अनुच्छेदों में समानता का अधिकार वर्णित है?